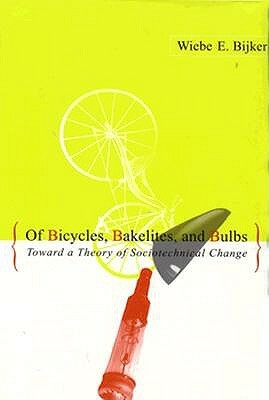 In Of Bicycles, Bakelites, and Bulbs: Toward a Theory of Sociotechnical Change, Wiebe Bijker uses cases studies on the development of the bicycle, Bakelite, and GE’s fluorescent lamp to show that technologies have politics, but like society, they are socially constructed; “artifacts are not only shaped by the power strategies of social groups but also form the micropolitics of power, constituting power strategies and solidifying power relations.” Power relationships materialize in technologies, and the technologies themselves become embedded in politics, soexploring the social construction of particular technologies reveals the politics of technology and the relationship between technology and power. 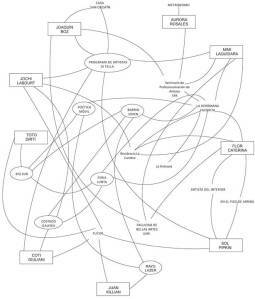 Revenant sur le parcours de la jeune artiste Florencia Caterina, l’écrivaine et journaliste Argentine Beatriz Vignoli dresse le portrait de nouveaux tracés générationnels pour l’art contemporain. — Oh, James, vous êtes tellement intelligent ­­­— Détrompez-vous, mais j’ai des amis partout[*] : c’est le titre de l’exposition conçue par Florencia Caterina, qui écrivait dans sa note d’intention : « Cette exposition est une excursion du côté de la force des enfants prodiges d’aujourd’hui ».